Thank you for visiting our website and for sharing in our joy and passion of creating smiles for over 20 years. Our mission is to help create memorable occasions by offering unique gifts with quality products that taste amazing. 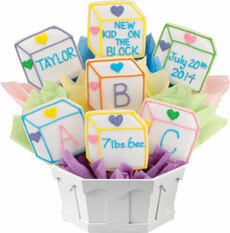 Nothing makes us happier than to hear stories such as how one of our gifts surprised a person on their milestone birthday, or how we saved a husband on Valentine’s Day from getting yet another box of chocolates as a last minute gift, or how a cookie bouquet made a new mom feel loved and appreciated. Additionally, we’ve had the privilege of creating beautiful and yummy centerpieces for special occasions that include weddings, Bar and Bat Mitzvahs, baby showers, bridal showers and other happy events. Our History The year was 1990. After both Olin and Lynne Turner had successful corporate careers at Sears, they decided to embark on a new chapter of their lives, and thus began researching franchises. Around that time, the two received a cookie bouquet from a close friend, and something clicked: They knew the cookie business was a perfect venture for them. 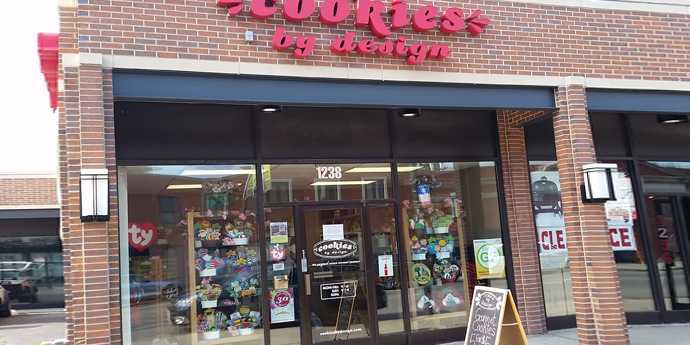 The Turner’s opened their first Cookie’s By Design in January of 1992 in Rolling Meadows. Lynne’s son, Adam Swartz assisted in the construction, development and marketing of that location, in addition to five other stores the Turner’s opened in the nineties through the year 2000. One of the first cookie decorators the Turner’s hired was a college student named Stacey, who had had a passion for baking and decorating since Kindergarten. Not only did Stacey become an integral part of the Turner’s businesses, but she and Adam fell in love and were married in 1997. They have 2 children and reside in the western suburbs of Chicago. In 2006, Stacey and Adam purchased the company from The Turners, who are now retired and living in Wyoming. The Turner’s always believed that quality products and quality service go hand in hand. The Swartz’s value those same beliefs and are proud run Cookies By Design with the same standards and work ethic that have made their franchises stand out. 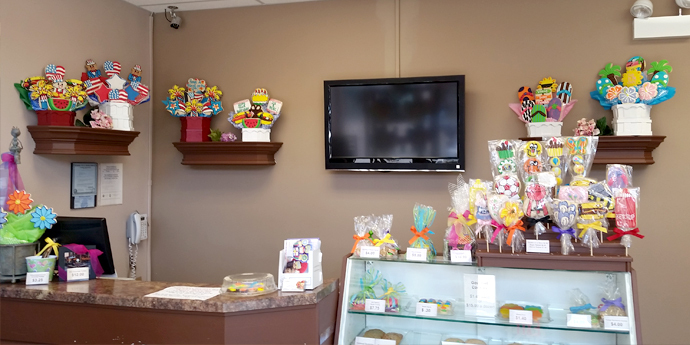 Let us know if we can be of any assistance to you in making your experience with Cookies by Design Chicagoland a better one. You are more than welcome to contact us.